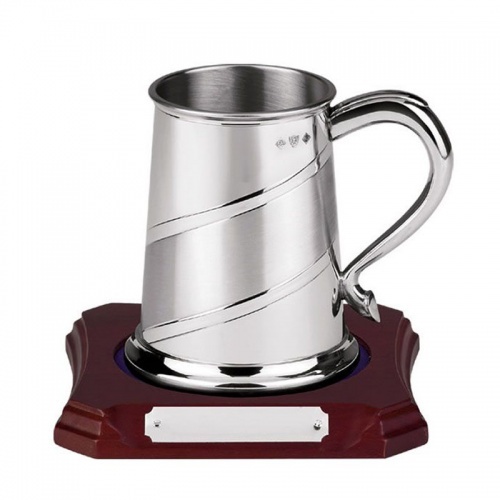 Pewterware tankard, handmade in Britain and featuring a diagonal sateen band design. Optional wooden base with engraving plaque available. These pint tankards can be engraved on the tankard body and are offered with text and logo engraving options for both the tankard and optional base. Tankards are approximately 4.75in tall.